The cabinet may discuss it early on 8 February. Interior Minister Arsen Avakov has nominated Serhiy Knyazev for chief of the National Police of Ukraine late on 7 February. It is up to Prime Minister Volodymyr Groysman to put the nomination on the agenda of the Cabinet of Ministers' meeting next morning. 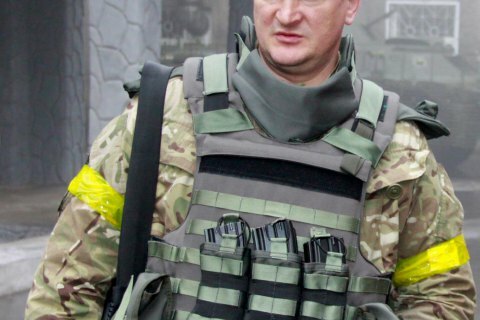 Avakov said on Facebook that he believes Knyazev to be the best candidate because of his "field" experience, high authority, pro-reform spirit, excellent track record in criminal investigation and combat experience. Knyazev, who is the head of the criminal investigation department of the National Police, was picked over National Police deputy chief Kostyantyn Bushuyev and Andriy Vyshnevskyy, director of the Free Legal Aid Centre, who were shortlisted by the advisory board. Previous National Police chief Khatia Dekanoidze resigned on 14 November 2016.